Modern companies understand that communications play a key role in succeeding in today’s environment. Hosted telephony allows organizations to be flexible and adapt to change, as well as ensure longterm scalability by implementing a operational expenditure mentality vs. the traditional capital expense model that fits a premise based deployment. IQbusiness believes in working with organizations that look to leverage technology to make their business better. 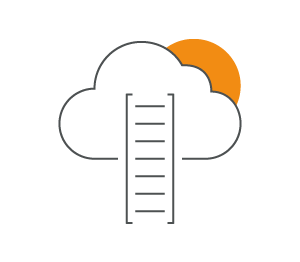 Whether this means improved communications with vendors, customers, and employees or enhanced customer service abilities, ShoreTel Sky provides a uniquely rich hosted environment for business growth and continuity. Now more than ever these capabilities are being recognized and embraced, as businesses and organizations of all sizes migrate their voice to the Cloud. From expert project managers to a dedicated support team, ShoreTel Sky and IQ are the perfect duo to deliver unparalleled results for your organization. Delivering 99.99% reliability out of the box and a dedicated private network with strategic failover, you are able to focus on your business and forget the worry of voice failure. Purchasing a new phone system is expensive. What if you could have industry leading solutions for your company at a fixed monthly cost that allows you to plan for long term growth, free up IT resources, and deliver unmatched quality of experience? Now you can.